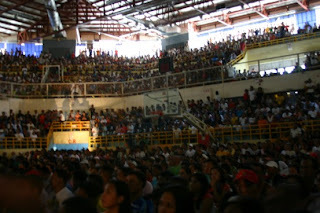 It is only during the fights of Manny Pacquaio that the entire Filipinos unite. You could actually see streets lack of people and every one else was behind their TV tube. Pacman is Filipinos' pride and unity. He is the only person whom every Filipino will agree on. Sad but true.